The Center for Faculty Educators is home to the Academy of Medical Educators, internationally recognized education scholars and volunteer clinical faculty. Find more information about our Center for Faculty Educators. The new Bridges Curriculum is enabling students to work within complex systems to improve healthcare and advance science for future generations of patients. Learn More about the School of Medicine's Bridges Curriculum. 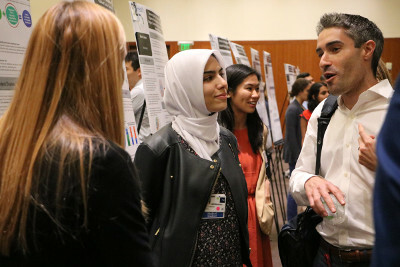 Medical Student Education (MSE) collaborates with diverse stakeholders to lead UCSF’s MD Programs by promoting innovation and excellence among all medical students, faculty, and staff. Together we shape the future of patient care, research, and education. We strongly recommend that premedical students pursue a four-year undergraduate curriculum and obtain a baccalaureate degree before entering medical school. Be sure that you have taken the MCAT by September of the year before intended entry into medical school. 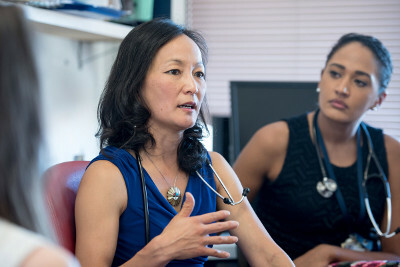 Medical students at UCSF work collaboratively with interprofessional teams to provide compassionate patient care. 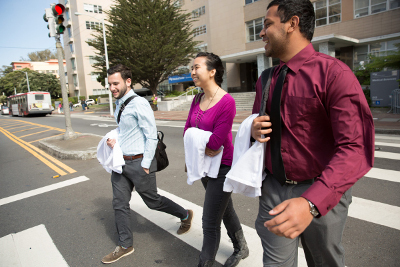 Find other resources to support your journey through medical school at UCSF. Bridges students advance patient care and systems improvement skills, while gaining knowledge of foundational sciences. 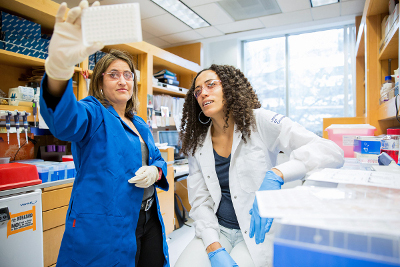 Advance your medical career through residencies, fellowships, graduate degree programs and postdoctoral scholarly work. Our learners train across the specialties in leading national accredited and non-accredited programs, across the specialties; graduates are enrolled in interdepartmental degree programs in basic and translational sciences, social and population sciences and clinical sciences. Our learners engage in interprofessional, collaborative initiatives across the continuum of medical education. Faculty serve as course or clerkship directors, coaches and mentors. Our Office of Continuing Medical Education offers educational opportunities for physicians, nurses, physician assistants, dentists, and health care professionals to improve their practices through a comprehensive selection of continuing education activities. These include over 200 CME activities in most medical specialties serving over 35,000 participants annually. Health care professionals at UCSF advance their skills and expertise through CME courses and educational opportunities.